Wow...I can not believe Fall Tour of Studios is less than a month away. 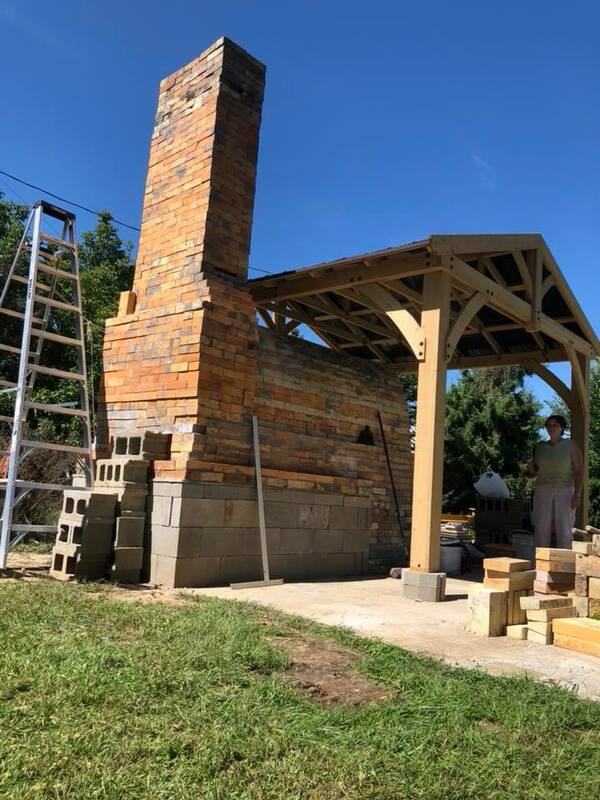 This year I will be showcasing the new "Wood Kiln" that we recently built. It is a beautiful site to see! 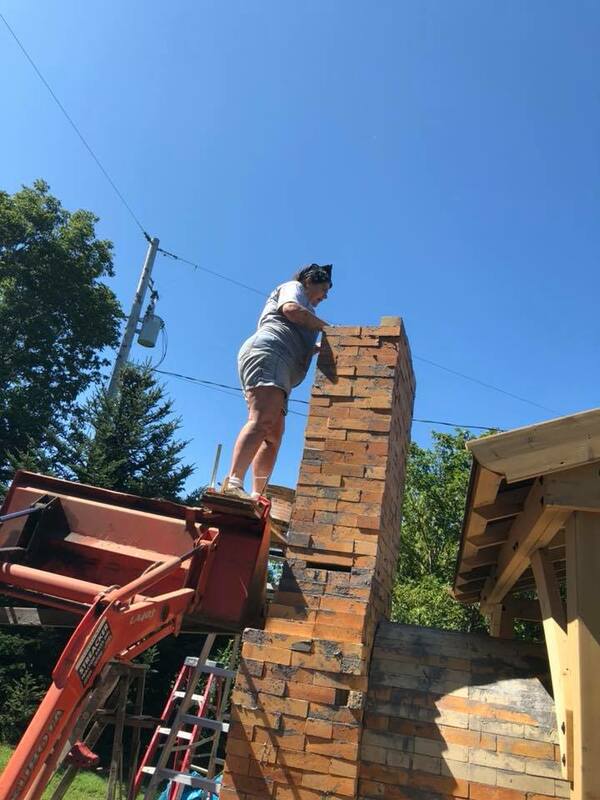 Last year I was gifted a large gas kiln in Detroit and brought the bricks to the farm. Over the last year I researched and planned what I wanted to build. I have named her "Tatsu" which means female dragon in Japanese. I can't wait for community firings, come to Fall Tour on Oct 6-7 and learn how you can participate! It will be exciting to see my organic forms fired in a wood kiln. 3 LOCATIONS offering a connection to the artist & the land... 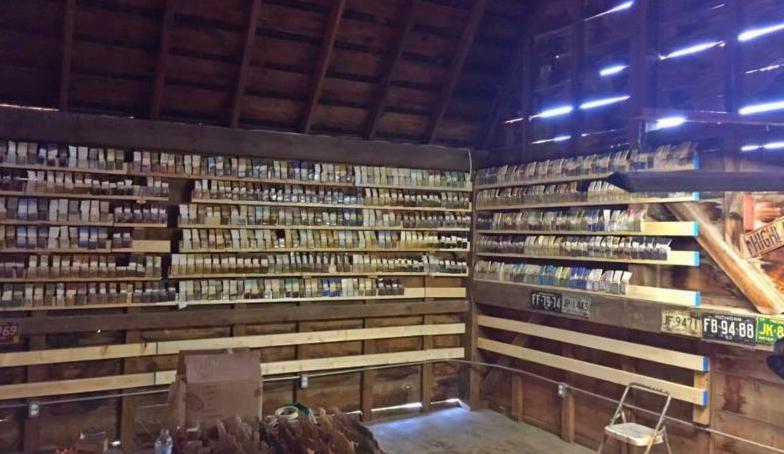 Handmade & Locally Sourced * Fine Art & Fine Craft * Café, Coffeehouse & Spirits * Solar Powered Pottery Studio & Farm....all located in Fennville MI. 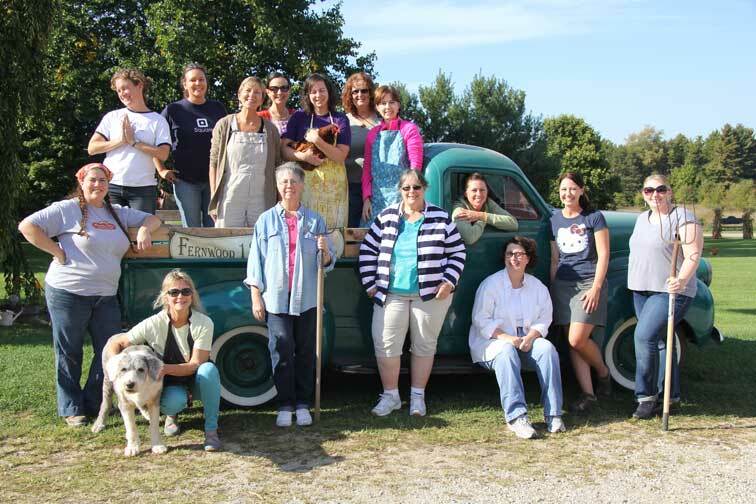 For the last 29 years the Blue Coast Artists have been delighting and educating the public with their annual Fall Tour of Studios. Viewers are invited once again to experience the creative process in action on Saturday & Sunday, October 6 & 7, 2018, 10 am - 6 pm. See a piece of pottery form on the potters wheel, or a bird emerge from a piece of wood, watch trees come alive through brushstrokes or learn how a piece of pottery becomes glazed through the wood firing process.. These are just a few of the demonstrations that art lovers of all ages are sure to enjoy during the 29th Annual Blue Coast Artists Fall Tour of Studios. This annual West Michigan autumn event is free of charge and offers a behind-the-scenes look into the studios of working artists. The 2018 tour includes eight working artists' studios located between South Haven and Saugatuck. Each site features original artwork, refreshments and most sites offer artist demonstrations. Artists at work, unique art abodes, and fall color makes this creative experience fun for the whole family. 1) Blue Star Pottery (337 Blue Star Hwy., South Haven) The studio of Mark Williams features handmade stoneware. Bowls, pitchers, casseroles, teapots and platters are embossed with Mark's elegant textured designs, which he creates by uniquely combining the pottery techniques of textured slab and throwing on the pottery wheel. Mark will open a new kiln load of his work daily on tour weekend. 2) Aspen Glenn Studio (1355 Wildflower Ln., Glenn) Nestled in the shade of a grove of Aspen trees, this pottery studio adjoins the Dietrich home and garden. Ellie works in stoneware and porcelain and creates both functional and sculptural work. Her current passion is working with large hand-rolled slabs of clay, forming simple but organic and architectural shapes. Come walk the fall garden and see innovative ways for using pottery vessels. 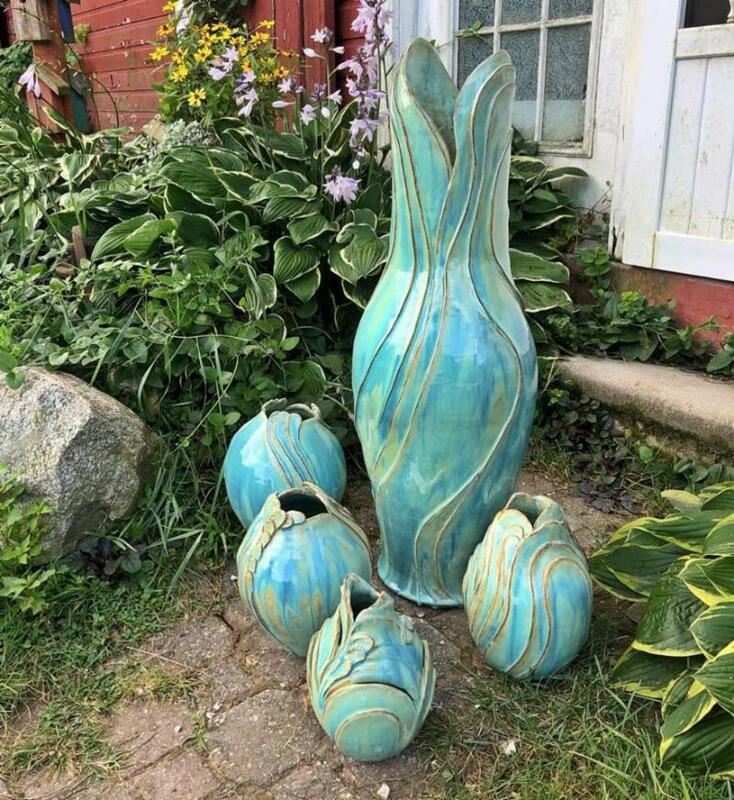 3) Blue Star Studio of Wood and Glass (1684 Blue Star Hwy, Fennville aka Adams Rd or 68th) Artist Barb Hogarth's work includes stained, blown, and fused glass, as well as Shaker boxes, fanbirds, turned wood, veneer work, and turned bangle bracelets. She will be demonstrating the techniques used to create a hand carved fanbird out of one piece of wood. 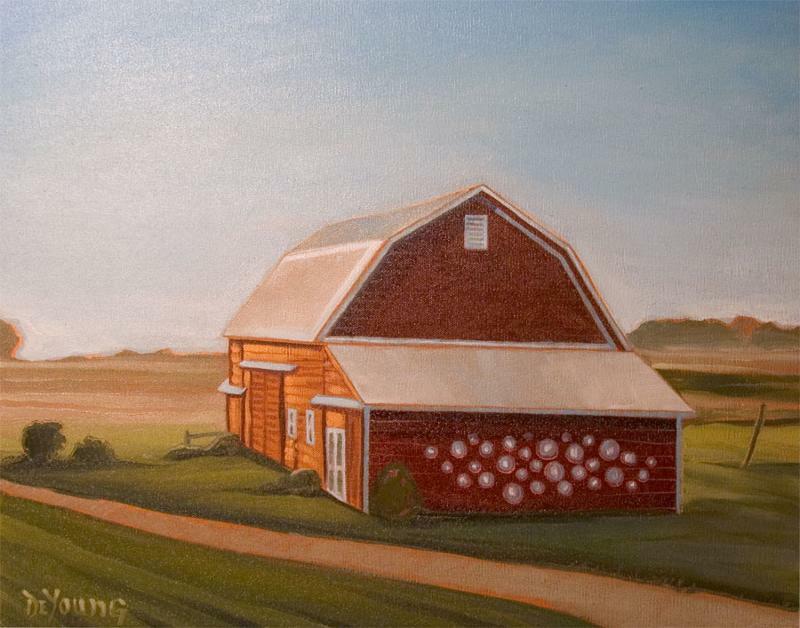 4) Stantall Studio (6691 120th, Fennville) Stantall Studio is home to artist Kathy Stanton. She works in several mediums including oil paints, digital imagery, jewelry, and creations using stones. All mediums involve elements of the Michigan landscape and bringing out the beauty in the world we see around us. 5) Peachbelt Studio & Gallery (SE corner of 63rd St & M89, Fennville) A historic red brick one-room school, remembered as the Peachbelt Schoolhouse ca.1867 serves as Dawn Stafford's year-round painting studio where she exhibits original oil paintings on linen, canvas, paper, and miniatures oils on wood. A selection of Dawn's original charcoal drawings on paper, encaustic (beeswax) paintings on wood, limited edition lithograph prints, and many gift cards are also available. During the Fall Tour weekend visitors may observe Dawn's drawings and paintings in progress, and guest artist Jill Lareaux will be exhibiting and sculpting figures out of raw clay. 7) Brazilian Shack (6176 122nd, Fennville) Jewelry artist, Michele Clark gathers the naturally dropped feathers from peacocks and other birds at her colonial coffee plantation Fazenda Neuchatel in Brazil. She combines them with native seeds, semi-precious stones and petrified wood that originate in her native country. Michele also specializes in uniquely restored furniture and decorations. 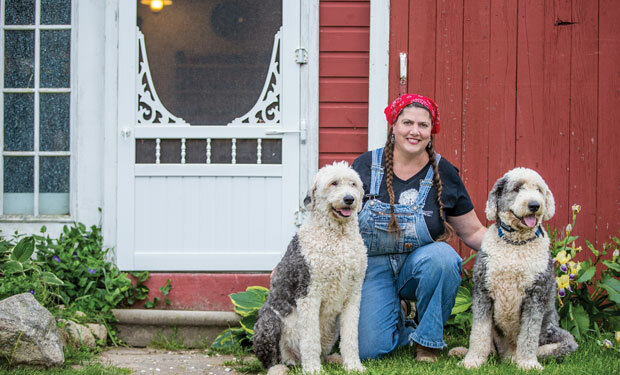 8) Khnemu Studio LLC (6322 113th Ave., Fennville) Enjoy the fall harvest at this 1890's farm estate, complete with a restored barn which houses a contemporary pottery and fine craft gallery featuring over 20 Michigan ceramic artists. And the solar powered studio of potter Dawn Soltysiak. 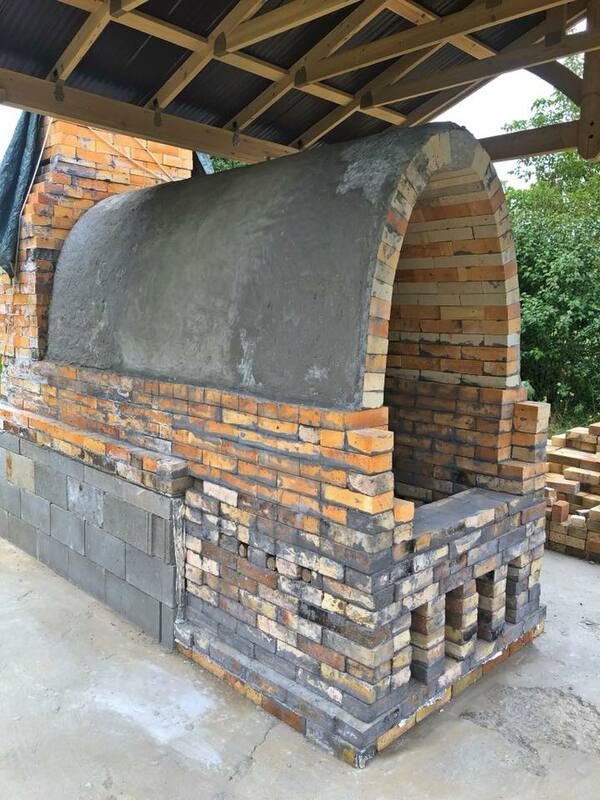 Dawn will have wheel throwing, and will be showcasing her newly built Manibigama wood firing kiln. The last living artist from Rookwood Pottery, 87 year old William Glass will be on site showcasing his current ceramic work. Farm fresh pumpkins and popcorn are also available. experience and shop Local over Thanksgiving weekend. Wow...we have been busy this summer. Thank you for allowing us to grow and serve you! This fall we will be adding sweet potato fries, fried cheese curds and fried veggies to the menu. Plus hot Apple Cider for your Fall drive out to the countryside. 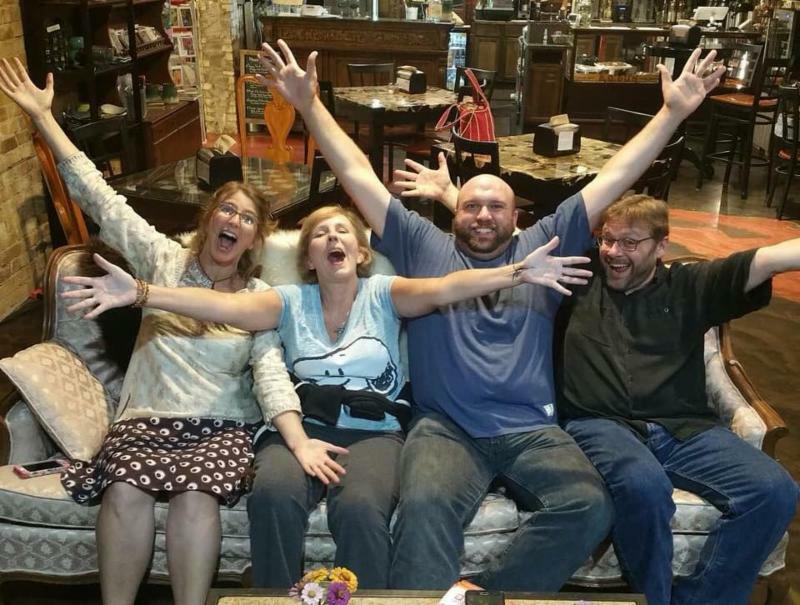 Our next dinner theater will be a Old Time Halloween Radio Suspense Performance. Dress in a costume and get a free treat! 2019 Pottery Intern applications now being accepted! Khnemu Studio will now offer Studio Membership!!!! If you are interested in having year around, open access to the studio. 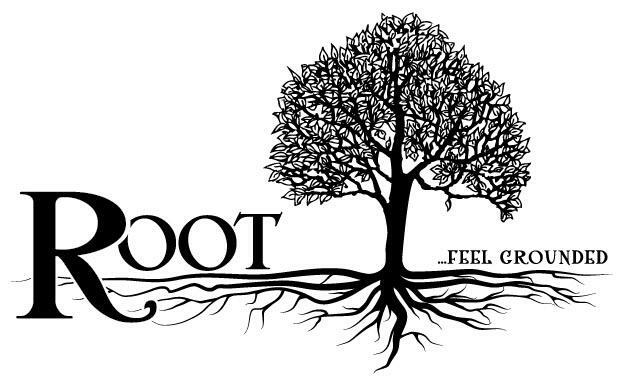 Did you know that we represent over 75 local artists? 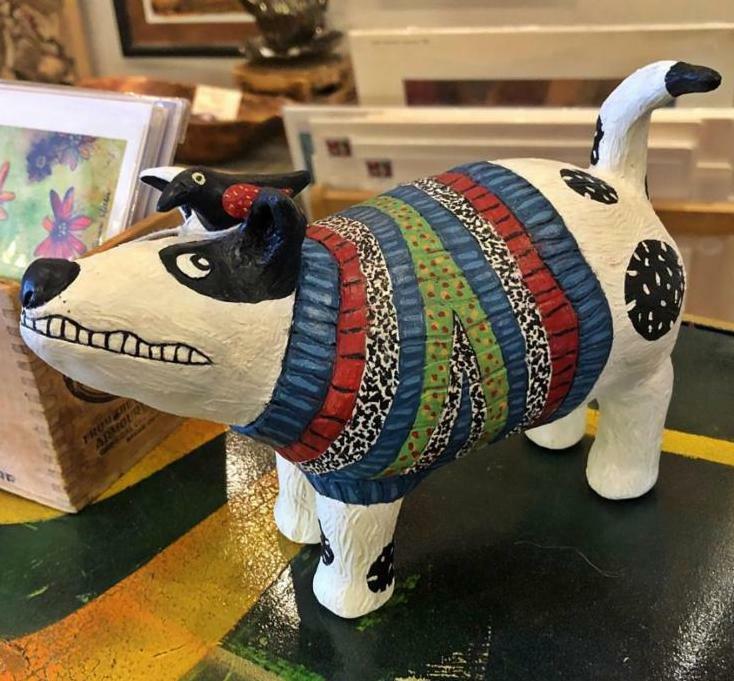 We love that our gallery is filled with the best of local art and we appreciate your continued support. If you are an artist that would like to be represented at Fernwood 1891 please feel free to contact me. Would like to learn how to get Khnemu Studio pottery studio membership by working at the gallery? The working studio is open year around to classes and membership. Working on more glaze tests for our already extensive glaze test library....come check out our library of 2,400 test tiles and learn about glaze making. If you would like a group small scale workshop about our glaze library, please contact the studio for details and costs. Grass fed. pasture raised Fernwood Farm beef will be available in December. You must pre-order and place a deposit. We are selling 1/4 1/2 or full cows. We will have 3 small available this year. Plus one large cow going to all hamburger which we will sell by the lb. The hamburger will be sold at $6 lb.